The Markforged Desktop Series takes the technical ability of the Industrial Series and downsizes it into a package that fits on your desktop. Comprising the Onyx One, Onyx Pro and Mark Two, the Desktop Series is ideal for workshops and manufacturing environments where space is limited. Print with Onyx using the Onyx One and Pro, and with Nylon with the Mark Two. Reinforce parts with continuous strands of Carbon Fibre, Kevlar and Fiberglass to take strength and durability to a whole new level. 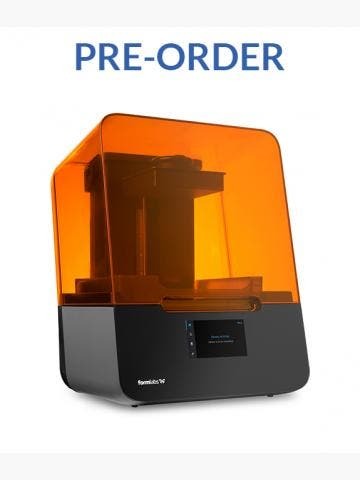 The Markforged Desktop Series comprises the Onyx One, Onyx Pro and Mark Two, three industrial-grade 3D printers for engineers and manufacturers. Offering the ability to print parts with the strength and stiffness of carbon fibre, the Onyx One, Onyx Pro and Mark Two all print with Onyx, a hybrid printing material that’s part engineering-grade nylon and part chopped carbon fibre. 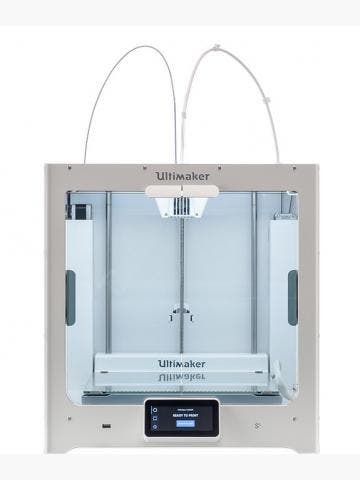 The Mark Two is also capable of printing standard Nylon, which has outstanding abrasion resistance. The Onyx Pro goes one step further, offering the ability to reinforce Onyx parts with continuous strands of Fibreglass. The Mark Two goes further still, allowing you to reinforce parts with continuous strands of Carbon Fibre, Kevlar and Fiberglass. By itself, Onyx is 20 per cent stronger and 40 per cent stiffer than ABS, and when reinforced with carbon fibre, it offers the strength of 6061 aluminium. The Desktop Series is perfect for workshops and manufacturing environments where space is limited. 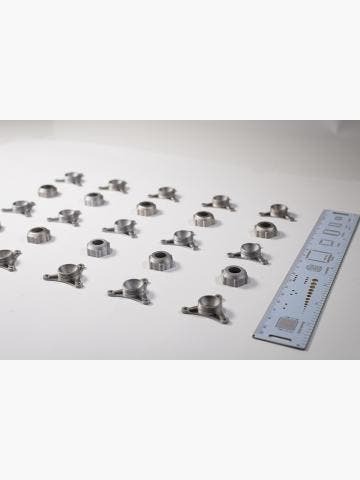 It offers the ability to replace small-scale machining processes, with remarkable tooling potential. 3D print tools and fixtures at reduced cost, and enjoy first-class reliability and repeatability courtesy of Markforged’s industrial-grade mechatronics.